Good thing Tomi Lahren has plenty of time on her hands these days — because her legal entanglement with her former employer Glenn Beck just got a whole lot more complicated. Lahren, who sued Beck for wrongful termination earlier this month, has now been slapped with a countersuit by Beck, LawNewz reports. In the countersuit, filed in federal court in Texas, Beck and The Blaze rip Lahren as “inappropriate and unprofessional,” as well as a “divisive” person who “created conflicts with other media personalities” at the organization. Among Lahren’s alleged bad behavior: “Lahren’s treatment of the floor crew was inappropriate and unprofessional, constantly complaining about everything including but not limited to lighting, room temperature, editing, shooting, directing, etc.,” the countersuit reads. 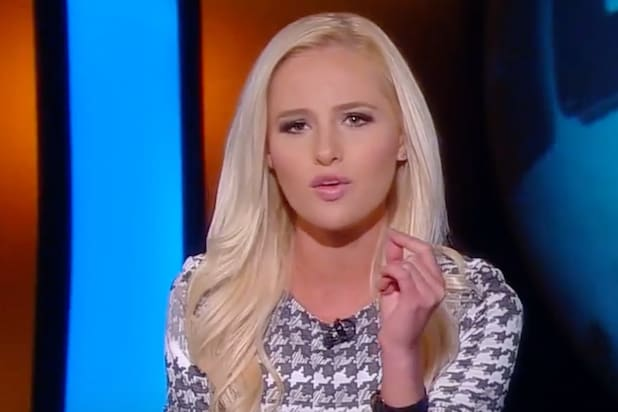 According to Lahren, who was suspended indefinitely after her “View” appearance, Beck and The Blaze knew about her pro-choice views before her public comments and never took issue with them. The lawsuit also claims that a Blaze producer accompanied Lahren to the “View” set and “applauded” her appearance. However, The Blaze canceled Lahren’s show almost immediately after she made the comments, according to the lawsuit, “presumably hoping they could find an exit strategy to sanitize their unlawful conduct” until Lahren’s contract expired Sept. 30. However, the countersuit asserts, Lahren’s employment agreement with The Blaze “remains in full force and effect,” and is still being paid by the organization. The countersuit also says that Lahren still has access to her social media accounts, including a Facebook page created and maintained by The Blaze. The Blaze also maintains that it has had employment issues with Lahren “for well over a year,” which is why it has decided not to extend its agreement with her after it expires in September.